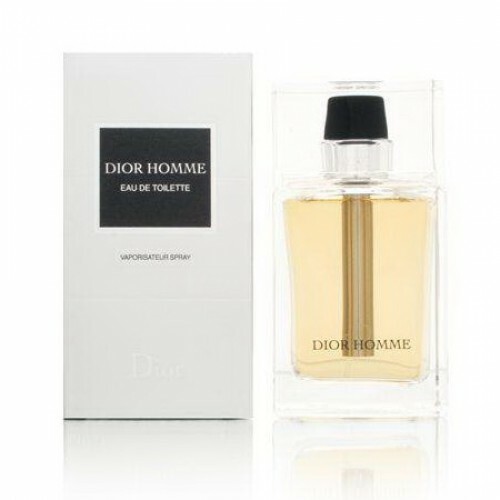 Christian Dior Homme is a fragrance for men with floral notes that perfectly combines. Christian Dior Homme 100ml. Eau De Toilette - For more than half a century the world famous brand Christian Dior enjoys incredible popularity and is the universally recognized symbol of fashion, elegance and luxury available to everyone. First perfume from Christian Dior Steel Ladies perfume called "Miss Dior". Then immediately going up the stairs to the highest peak of popularity, the brand opened its own perfume laboratory. It began to produce not only the amazing women's fragrance, but also elegant fragrances for men. In 2005, Christian Dior perfume company launched a new luxury perfume for men called Christian Dior Homme. Aroma, which was created specifically to hit women rigor using male spell that actually gives them this amazing men's fragrance. In water perfume Christian Dior Homme blends wonderfully piece of the past centuries, the vital energy of the modern world and the riot of colors of future hopes. Every modern man, despite their preferences and lifestyle will appreciate the originality and unpredictability of this amazing and bewildering fragrance for men called Christian Dior Homme. Men's perfume Christian Dior Homme able to give its possessor sincerity of feelings, luxurious elegance and masculinity, then add it a little romantic feelings and courage necessary for every man. In one seemingly simple, but elegant bottle lies the most extraordinary fragrance with spicy and woody notes extravagant. The first notes of the perfume are luxurious and elegant scent of bergamot with a delicate aroma of lavender and sage quirky unique. At the heart of this fragrance is sensual water iris, cocoa beans passionate, luxurious amber and powdery few chords. At the end of perfume lies the beauty of spicy patchouli, elegant and noble scent skin and no less amazing and courageous Haitian vetiver scent. Christian Dior Homme is a fragrance for men with floral notes that perfectly combines classic elements with modern elements. One of the unique ingredients that offer delicacy and softness of iris composition is essentially used to create perfume. Dior Homme is an elegant scent designed for a man who has self confidence. Beginning of fragrance notes were created from wood sage, lavender and bergamot which gradually transforms floral tones of iris, and amber, and cocoa. Base perfume was created in tones of vetiver and patchouli. Christian Dior Dior Homme can be worn at any time of day. Christian Dior Dior Homme is the perfect embodiment of masculinity, and sensitivity.